Following weeks of market stagnation and declining volatility levels, crypto assets finally saw a strong move on Wednesday, but not in the direction that Bitcoin bulls were waiting for. Per data compiled by TradingView, Bitcoin (BTC) tumbled from $6,650 to $6,300 on the back of an influx of sell-side pressure in a matter of one hour. As seen in the TradingView chart below, since falling to $6,300, BTC has remained relatively steady, finding a foothold at the $6,250-$6,300 level. While volume has largely subsided since the aforementioned bout of selling pressure, the market has still seen an increase in volume from a day-on-day standpoint, indicating that volatility may be ready to flood back into this market. While there is no guarantee that crypto assets will continue to post losses, 2018’s bear market has taught the crypto world that the $5,800 line of support for BTC is likely to be an area of continued interest. At the time of writing, BTC is currently down 4.25 percent on the day and sits at $6,280 a piece. Although BTC investors were left with their faces kicked in, metaphorically speaking, altcoin maximalists arguably had a worse day, as somehow, some way, a majority of the industry’s favorite tokens tumbled by upwards of 9%. Ethereum (ETH), for one, temporarily fell under the technical and psychological support at $200, which made many traders think back to ETH’s short stint under $175 that occurred in early-September. However, this time around, many believe that prospects for the second most popular crypto asset aren’t as bearish, as many industry leaders, like Galaxy Digital’s Novogratz, have claimed that the ETH-focused ICO sell-off has finally ended. Ripple’s XRP tumbled the furthest in the crypto top 20, which many pinned to the asset’s breathtaking run-up in late September that was catalyzed by a series of good news pertaining to the Ripple ecosystem. You know what they say, “the higher they climb the harder they fall.” There were some outliers though, with Dogecoin (DOGE) only seeing a 4.5 percent loss, further clarifying that the popular meme currency isn’t fully correlated with the day-to-day movements of its fellow altcoins. 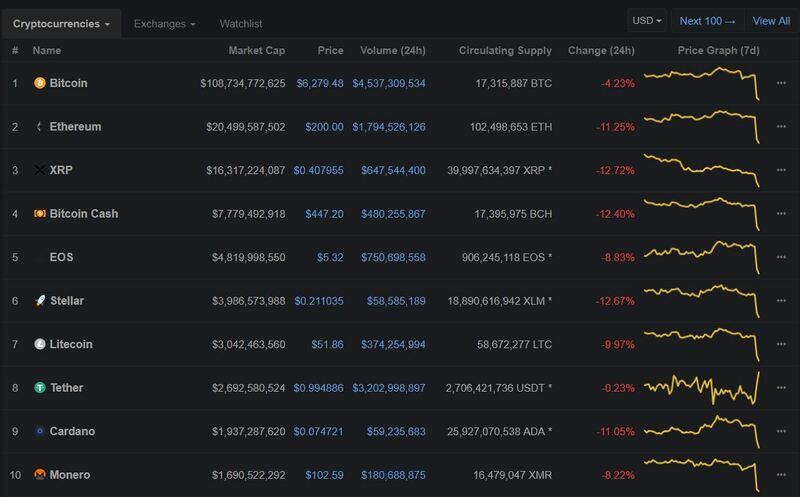 ZCash (ZEC), Tezos (XTZ), Binance Chttps://ethereumworldnews.com/?s=Binanceoin (BNB), and Ethereum Classic (ETC) also performed relatively well, with these four crypto assets only posting losses of 7 percent or less. Still, the strong altcoin sell-off saw Bitcoin dominance see a resurgence from 52 percent to 54 percent after weeks of non-action. 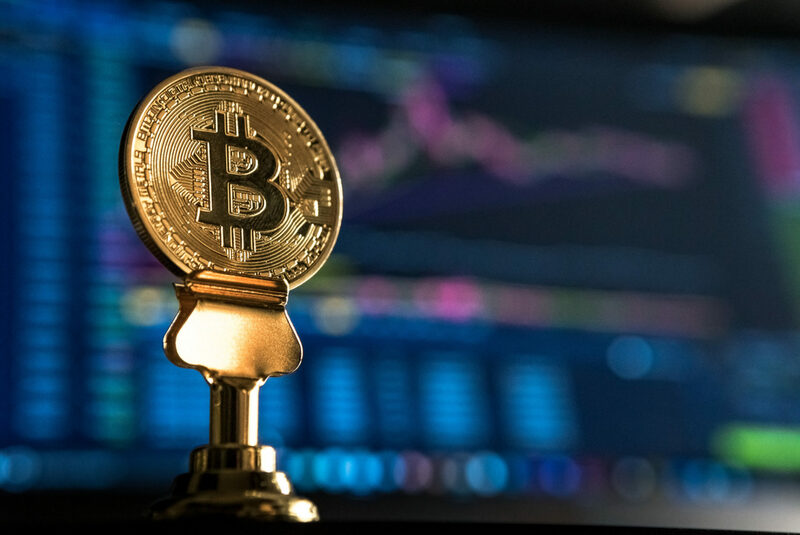 This move evidently came as a surprise to a good portion of crypto investors worldwide, as the widely accepted sentiment was that the market would continue to trade within a tight range until 2018 tapers out. As such, some began to ask what factors catalyzed this drop, which saw the collective value of all crypto assets fall to just a tad over $200 billion. Although this isn’t a definitive answer, the widely accepted theory is that the rapidly dissipating volumes and declining volatility had something to do with this sharp move lower, as such indicators may signal that traders are beginning to lose interest. Others claimed that crypto moved in-line with the traditional stock market, as the Nasdaq and S&P 500 fell by over 4.5 percent and 3.4 percent respectively. However, many were quick to combat this theory, as crypto has been touted as a non-correlated asset by market analysts like Tom Lee. Last but not least, as normal, many explained that Bitcoin’s tumble could be tied to large sell orders issued by crypto whales. Again, while some of these theories have been corroborated, it isn’t clear if these potential catalysts hold credence. But still, many optimists haven’t given up hope, as there is still time for the crypto market to post a nice recovery as 2018 comes to a close.